Early on in my JET years I had the good fortune to meet with a friend of a friend from my hometown, Laura. She was in Kyoto studying at Ritsumeikan at the same time that I was in Osaka. We had only met once or twice before Japan, but were able to get together quite a few times after that. She introduced me to my favourite hotspring (onsen) in Kyoto one evening while our mutual friend was visiting. I definitely would never have gone to Tenzan-no-Yu if the three of us had not walked over there from Laura's dorm that night. It's super out of the way for someone living on the Keihan line - the next time I went, alone, it took 40 minutes by bus from Sanjo Station. Each time I went, I literally made a full evening out of the visit, because it was so far - take the bus to the Katsura area, buy cakes to take home at the bakery, browse the Uniqlo shop, spend 2 hours in the bath and maybe having a snack, pick up groceries at the shop next door and a katsu lunch for the following day, then take the bus/train home for over an hour and a half. But oh, so worth it. There are two hot indoor baths and one cold one, and a set with back-massaging jets. The temperature of each bath is on a digital display above it - neat! (40 celcius is a good temperature for me, and I avoid anything hotter than 42.) 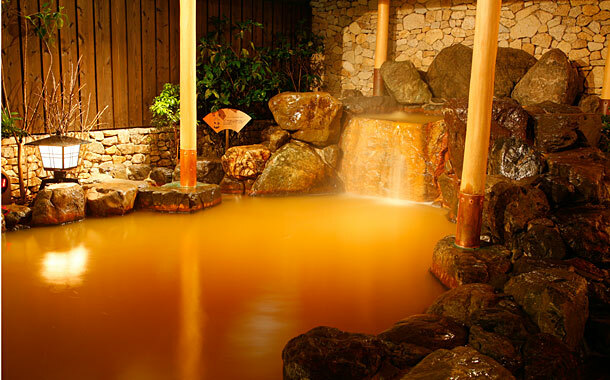 Outside there is one bath with a little waterfall over rocks, two of the barrel-style ofuro cedar tubs (with natural onsen water) and a gin-no-yu; this natural spring is filled with minerals that turn the water gold. 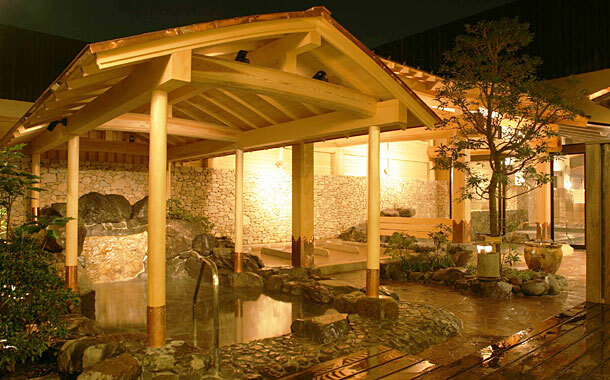 There's also tatami and lawn chairs to lie down on, a salt sauna and a rock sauna, and marble slabs that you lie down on with the water running around you. Bliss~. A couple of times people have come to chat with me at Tenzan, but usually I'm kind of left to my own devices. 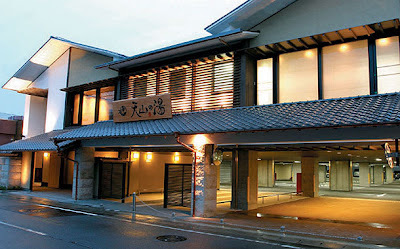 While fancier than a "local" ofuro, the feeling is still much like a friendly neighbourhood bathouse. After sauna, soak and shampoo, I like to buy some fruits milk from the vending machine, dress, dry my hair, enjoy some Doctor Fish, have a massage in the massage chair...oh, do I ever love Japanese bathhouses. And at ¥1,000, Tenzan is a much better deal than Spa World, if 20x times more out of the way--!